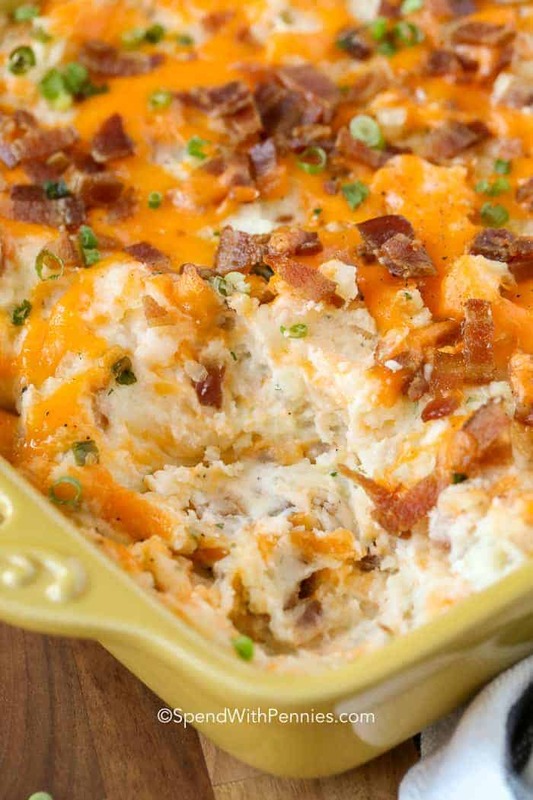 Twice Baked Potato Casserole is the ultimate comfort food recipe! 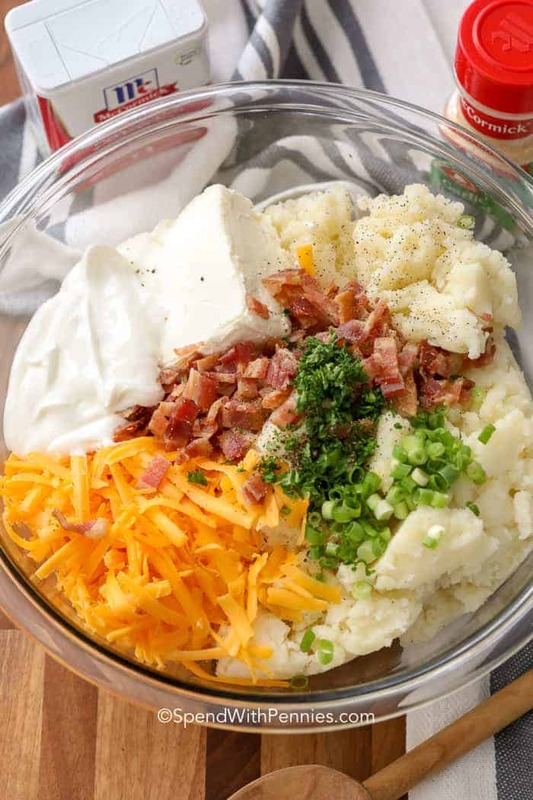 Perfect Baked Potatoes are scooped out and mashed to create super creamy Mashed Potatoes… we then add in our favorite potato toppings including crispy bacon, cheddar cheese, sour cream and green onions. 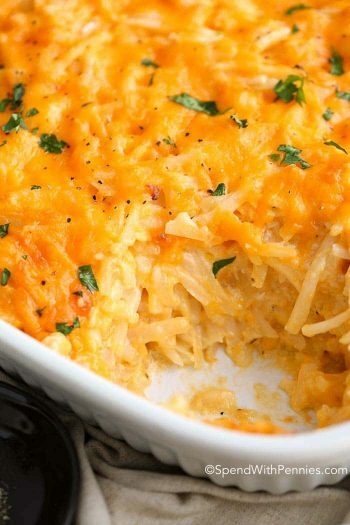 This casserole is super easy and one of our all time favorite sides! We love all forms of potatoes in our house…. from Oven Roasted Potatoes to our favorite Potatoes Au Gratin! 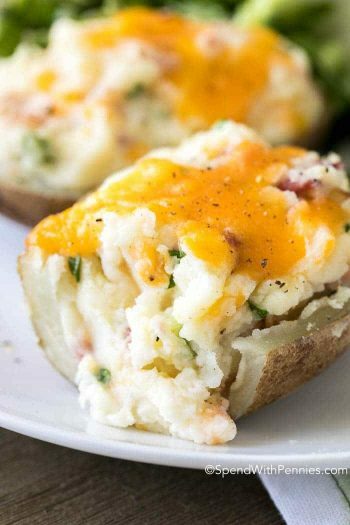 And of course, good ol’ Twice Baked Potatoes. 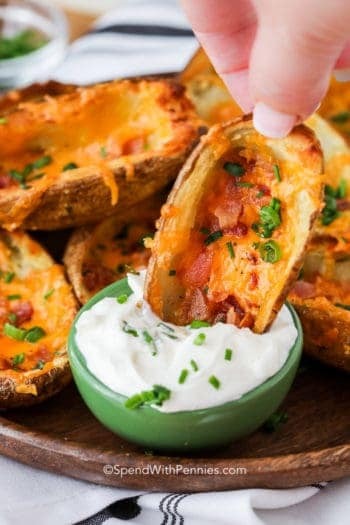 I mean really, how can you go wrong with potatoes loaded with bacon and cheese? Am I right?! 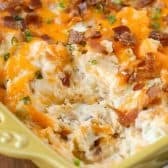 This Twice Baked Potato Casserole takes all of those favorite twice baked flavors and bakes them into a creamy cheesy potato casserole! 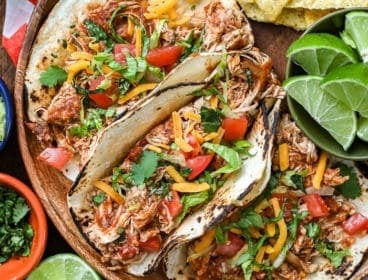 The great thing about this recipe is that it’s very versatile! 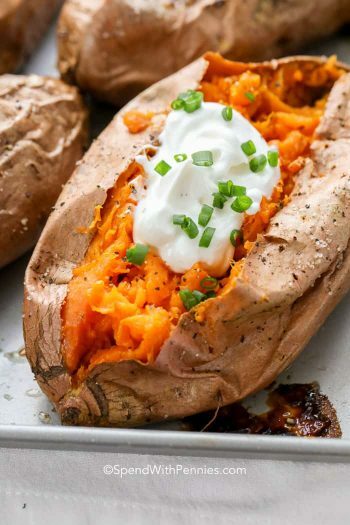 You can use leftover potatoes or even make Crock Pot Baked Potatoes. If you’re in a rush you can also boil the potatoes with a couple of cloves of garlic. So easy! 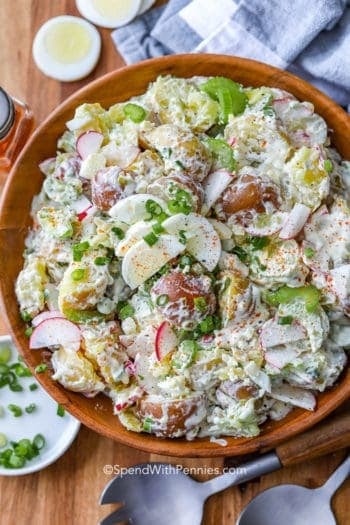 Once the potatoes are baked or boiled, we mash them with butter and sour cream. 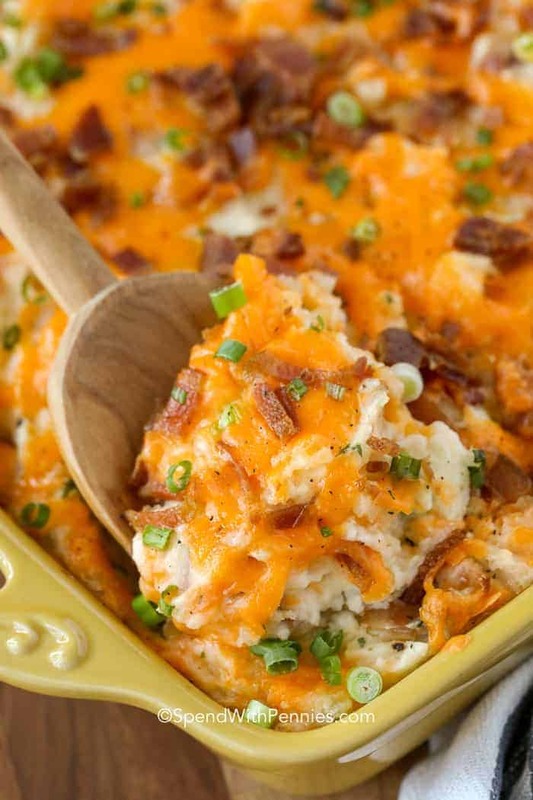 Finally add in all of our favorite potato toppers including cheddar, bacon and onions. 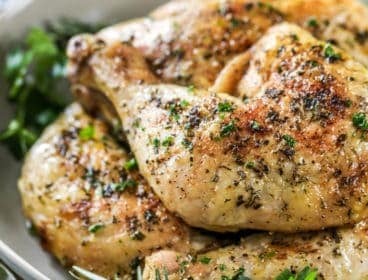 You can add anything you’d like to this recipe… change out the cheeses, stir in some roasted garlic or leftover chicken. The possibilities are endless. 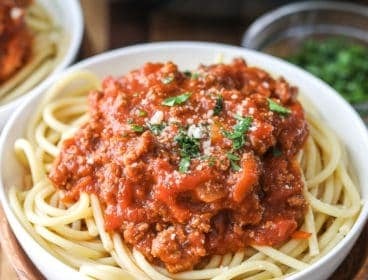 Here’s the great thing about this dish, it can be made up to 2 days in advance. 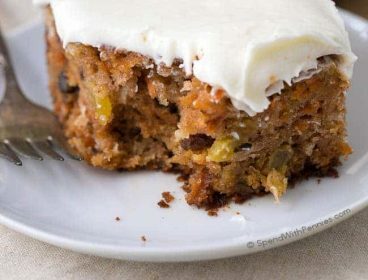 This makes it the perfect dish to serve for the holidays and of course it bakes up nice and bubbly! 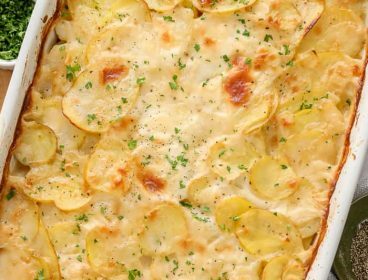 Potatoes Au Gratin – Creamy and cheesy! 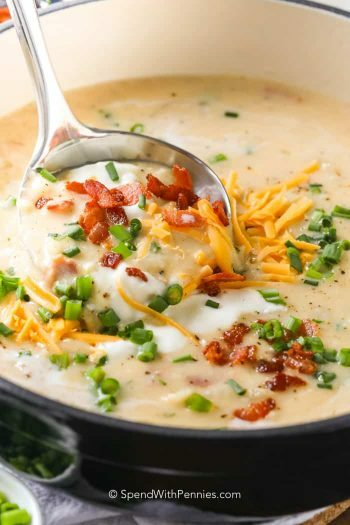 How can you go wrong with potatoes, bacon and cheese? This casserole is great for an easy dish you can make ahead of time for a really busy day! Mash warm baked potatoes or boiled potatoes with a potato masher. Add butter, cream cheese and sour cream. Mash while adding milk/cream a little at a time until to reach a creamy consistency. 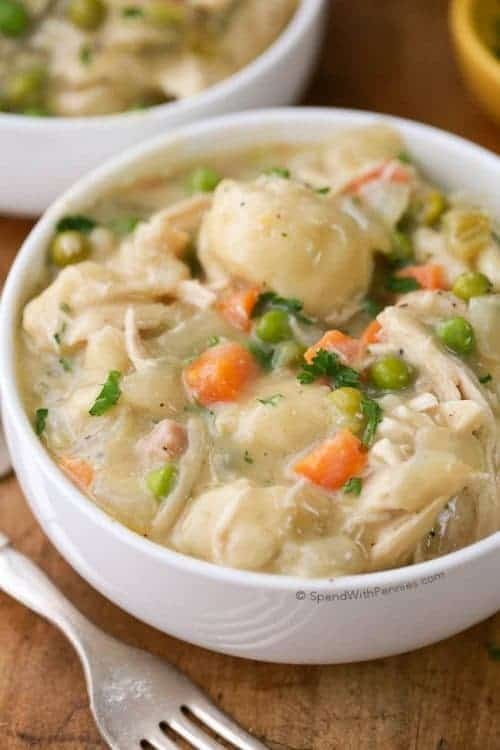 Stir in remaining ingredients (except toppings) and spread into a 2 quart casserole dish. 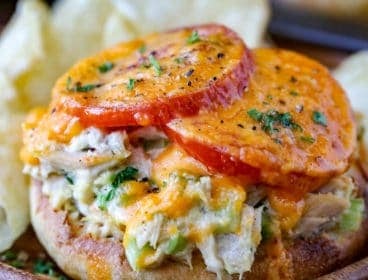 Sprinkle with toppings and bake for 25-30 minutes or until cheese is melted and potatoes are hot. Wash 4lbs red skinned potatoes potatoes. Peel about 2/3 of the skin, (leaving some on the potatoes) and chop into large chunks. Boil the potatoes and a large pot of water until potatoes are fork tender (about 15 minutes). Drain well.